The words “We do not aim to become much bigger, but we always focus on being better!” perfectly sum up the relentless pursuit of perfection that takes place at NØGNE Ø: The Uncompromising Brewery. When the brewery was initially founded in 2002, it was fair to say that most of Norway hadn’t even heard of the beers they were planning on brewing, let alone tasted a Porter, India Pale Ale, Saison or Imperial Stout (thanks in no small part to the country-wide ban on advertising alcohol). Consequently, the brewery was driven by its export sales in the early going, quickly making a name for itself with a formidable range of beers. 10 years on and things are looking much better for the beer drinking populace of Norway. 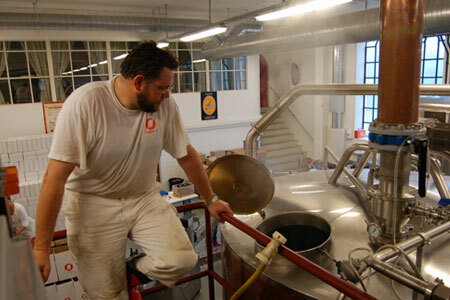 More new breweries are emerging, and NØGNE Ø’s range of over 20 beers is now being widely appreciated in its homeland. With collaborations spanning the globe, there’s always something new and exciting to look out for from the Grimstad brewery, and their lineup at IMBC will certainly not disappoint! Brewmaster and co-founder, Kjetil Jikiun (AKA ‘The Bearded Giant’), will also be attending in person to pour some beers and get involved with some of the pop-up tastings. The history of wheat beer and the Schneider family are uniquely inseparable. Two hundred years ago, wheat beer could only be brewed by the Bavarian Royal family in their breweries. In 1872, when King Ludwig II decided to discontinue brewing the beer, Georg Schneider I persuaded the King to sell him the exclusive right to brew wheat beers, thus saving this prized beer style from extinction. Originally based in Munich, the family acquired a brewery in Kelheim in 1927 which has remained the Schneider Weisse brewery to this day. It is the oldest wheat beer brewery in Bavaria, and has continuously produced wheat beers since 1607. 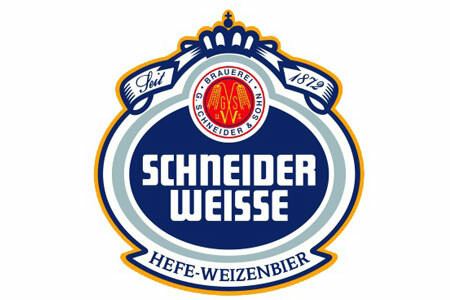 Whilst the brewery has built its world class reputation on more traditional beers such as their hefeweizen (‘Original’) and wheat doppelbock (‘Aventinus’), both rightly considered to be among the best examples of their styles available today, Schneider Weisse is increasingly gaining an appreciative fan base around the world with its more progressive and experimental beers. Perhaps most well known of them all is a collaborative effort with Brooklyn Brewery, Meine Hopfenweisse, the world’s first dry-hopped wheat beer, but in recent years they have also been going it alone with exotic hops from America and New Zealand (almost an act of heresy in Germany, given that they are based so close to the Hallertau hop growing region). Their latest project has involved barrel aging with the aforementioned Aventinus, the fruits of which will be available to taste at IMBC for the first time in the UK (quantities are extremely limited). We will also be pouring the first keg of this year’s Tap X: Nelson Sauvin, an extremely popular special last year. We are proud to announce Brewdog will be hosting their own room in the Turkish Baths area, here a few words direct from the dogs mouth! 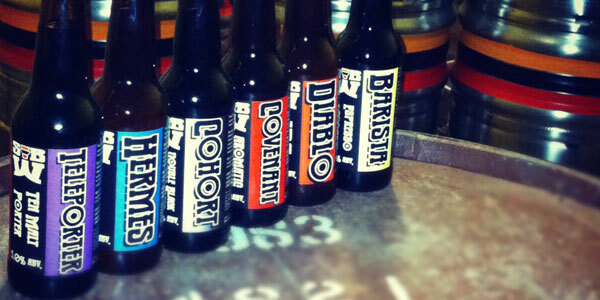 “Everyone at Brewdog is very excited about the upcoming IMBC. We think it’s going to be the most interesting beer festival outside of London to date, if not in the UK. With dedicated rooms for keg and cask showcasing the best of UK breweries, world beers AND amazing food taking inspiration from around the world, you can expect a lot more than the usual warm pint and standard issue burger. Plus! Brewdog have their own ‘Turkish Baths’ to turn into a craft beer emporium, so of course we’ll be bringing down the most special and limited release Brewdog beers that we can find! We’re also really looking forward to getting involved with the seminars and debates with head honcho James Watt making an appearance some where along the line, plus we’ll be hosting timed tasting slots throughout the weekend. Our second batch of brewers have been announced, each brewery will be at IMBC hosting their own stall and on hand to answer all your questions! We proudly welcome…. Many a times, the apple doesn’t fall far from the tree. Case in point: Jasper Cuppaidge, owner of Camden Town Brewery, whose family owned a brewery in Australia. From brewing in the basement at the Horsehoe in Hampstead, Jasper bought seven disused railway arches (seems to be a theme, doesn’t it? 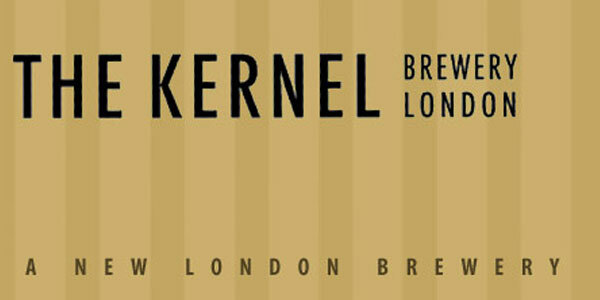 The Kernel, Camden Town, railway arches seem to lend themselves to becoming breweries!) and now brews on a 15 bbl system designed by German company BrauKon. 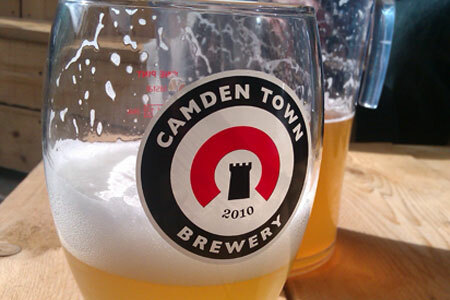 In 2012, the brewery opened its brewery bar and brewed a special Camden 1908 Pale Ale to commemorate London hosting its third modern Olympics, resurrecting a recipe from the Camden Brewery of days gone by. With the help of brewing historian Ron Pattinson, the old recipe suggested hops from Kent and Worcester, and, perhaps surprisingly, hops from Oregon. This only one of Camden Town’s limited edition brews. Suffice it to say, we here at IMBC are thrilled to have Camden Town along for the ride! Brewing isn’t new to Ilkley, West Yorkshire, with ‘The Ilkley Brewery and Aerated Water Company’ established in 1873. 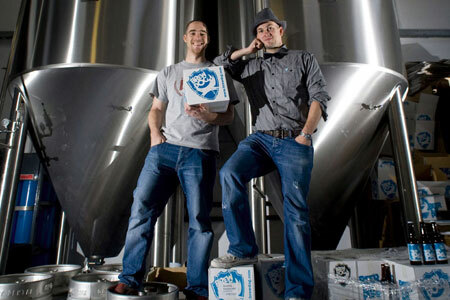 However, more than 100 years passed until Chris Ives, Stewart Ross, and Richard Shelton founded Ilklely Brewery in 2009. The brewery took off, and only two years later, it moved into a 2,600 sq ft brewhouse. With its sixth fermenter, Ilkley now produces 40,000 pints a week. 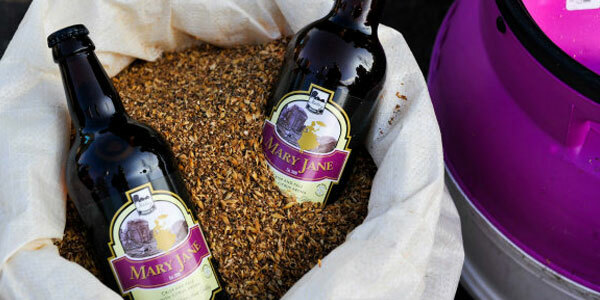 Finding that many pubs and bars did not have cellaring capabilities, Ilkley began producing its beer for keg draught dispense, introducing scores of drinkers to their award-winning core beers, Mary Jane, MJ Pale, and Stout Mary. Ilkley have also launched an ‘Origins’ range, a series of experimental beers, produced for cask and keg, and collaborated with beer writers Pete Brown and Melissa Cole. ‘Siberia’, brewed with Melissa Cole, features rhubarb, and has received such a huge response from beer drinkers that Ilkley have added it to the core range. A saison with a sour finish, this is definitely worth tasting! What, then, might be on tap from Ilkley at IMBC? The brainchild of homebrewer and former cheesemaker Evin O’Riordain, The Kernel opened in 2009 with its distinctive handstamped bottles. In 2011, the British Guild of Beer Writers chose Evin as their brewer of the year—and the demand just keeps growing. A shiny new brew kit arrived in March of this year and more railway arch space was acquired to help meet that demand. Inspired by the brewers of Cantillon of Belgium and Russian River of Guerneville, California, The Kernel’s dark beers have drawn on the rich history of brewing in London to recreate some of the recipes of days gone by. With the move to bigger premises, Kernel beers are becoming more available on draught in Manchester, which is good news for Kernel aficionados, but the brewery continues to sell bottles directly on Saturdays. Evin has also collaborated with the likes of Thornbridge, recreating a Burton Ale, and Redemption Brewing Company, a Strong Mild, as well as other illustrious breweries, including Dark Star. We are thrilled that The Kernel are going to be gracing the bar at IMBC, no matter what they decide to bring to Victoria Baths, it is going to be a treat! Located in the picturesque village of Holmfirth, West Yorkshire, Summer Wine Brewery has been going from strength to strength since entering the brewing business in 2008. Head brewer James Farran and managing director Andy Baker are no strangers to experimentation, with this year’s huge releases of Kopicat, the Imperial Vanilla Coffee Stout, barrel-aged in Caol Ila and Clynelish, as well as the Gorilla, a black IPA, brewed for international IPA day. 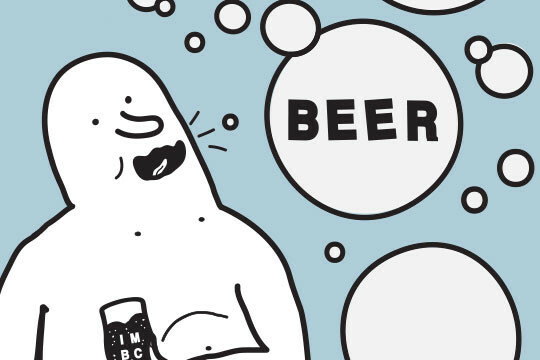 What might they be bringing to IMBC, you ask? “We at SWB are very excited to be involved with a new-breed of beer festival which becomes an interactive, all en-compassing event that celebrates not only the beer, but the ingredients, those that brew, those that serve and those that drink it. No doubt, SWB are always good for surprising and exciting beers. Bring on IMBC!